So You Think You Can Mom? : Del Taco's Epic New Menu! Del Taco's Epic New Menu! 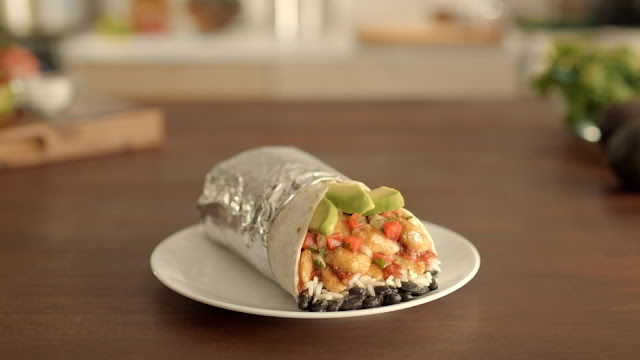 Del Taco is thrilled to offer guests yet another fresh ingredient at an UnFreshing Believable® value with the introduction of fresh Hass avocado. The new addition of fresh avocado is one of many exciting menu developments Del Taco has in store for 2015 as part of the company’s continued commitment to deliver fresh, quality and delicious ingredients. *Prices, product, and participation may vary. I recently enjoyed a Grilled Chicken Soft Taco and added 3 slices of fresh avocados inside. It was delicious! I think I'll add avocado to a Del Cheeseburger next! Disclosure: I was not compensated for this post. I was offered a gift card in order to sample new menu items and facilitate my review. These are just my two cents!